NORTH AMERICAN PREMIERE At once a chronicle of a remarkable sixty-year partnership and a tribute to the unsung talents behind a staggering number of cinema classics, this loving film introduces the world to storyboard artist Harold Michelson and film researcher Lillian Michelson. Though largely uncredited, they left an indelible impression on films like The Birds, The Graduate and Rosemary’s Baby. 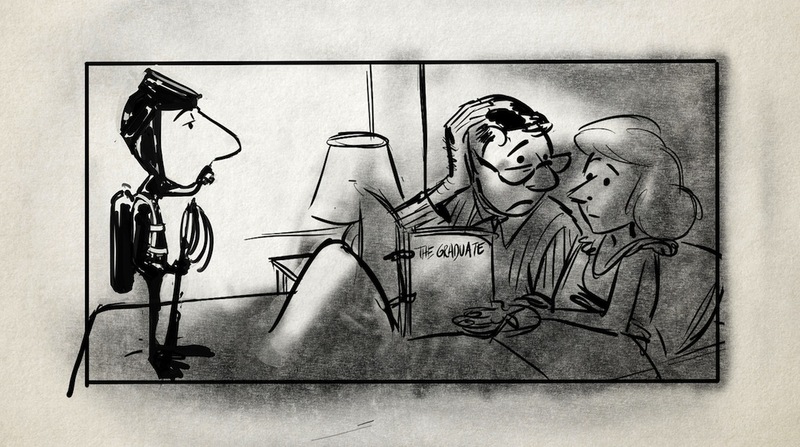 Through personal letters, rare storyboards and a wealth of interviews, Daniel Raim pulls the curtain back to reveal their love and work and its impact on Hollywood history. Illustrations by Patrick Mate.